Wellcome Collection is part of Wellcome, a global charitable foundation that exists to improve health for everyone by helping great ideas to thrive. Both politically and financially independent, we support scientists and researchers, take on big problems, fuel imaginations and spark debate. Adam Matthew Digital publishes unique collections from archives around the world. We reimagine primary sources, to empower current and future generations to challenge, analyse and debate. Our award-winning collections span the humanities and social sciences, from medieval manuscripts to 20th century global politics. Arkivum is the trusted software and service partner for long-term data lifecycle management and digital preservation. We serve organisations around the world in data-intensive, regulated markets, including pharmaceutical, life sciences and healthcare, nancial services, higher education and heritage. Arkivum provides an end-to-end, managed service to deal with the complexity of preserving your data securely for the long-term, while guaranteeing 100% data integrity and immediate access to your data so that you can bring your archived data to life. Our vendor neutral technology means you can use Arkivum across your existing platforms and various deployment models, and you own your data at all times as there is no data lock-in. Arts Council England champions, develops and invests in artistic and cultural experiences that enrich people’s lives. Our strategy is Great Art and Culture for Everyone. We support a range of activities across the arts, museums and libraries – from theatre to digital art, reading to dance, music to literature, and crafts to collections. Arts Council England manages a range of responsibilities which support the preservation and access to collections held in museums, archives and libraries and other heritage bodies. This includes the Accreditation Scheme for museums and galleries in the UK; the Designation Scheme; Acceptance in Lieu and the Government Indemnity Scheme. Founded in 1683, Brill is a publishing house with a rich history and a strong international focus. The company’s head office is in Leiden, (The Netherlands) with offices in Boston (USA), Paderborn (GER), Singapore (SG) and Beijing (CN). 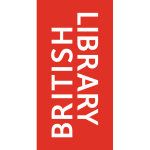 The British Library is the national library of the United Kingdom and one of the world’s greatest research institutions with a collection spanning all cultures, languages and a leader in using the potential of digital to increase access for people internationally to the intellectual heritage we safeguard. The British Library’s Digitisation Service can help you unlock your physical collections and make them more accessible. Whether it’s archive records, books or photographs; rare artefacts, large maps or scrolls, British Library Digitisation Services can manage your digitisation project from start to finish to transform your content from physical artefacts into digital assets. Digirati is a digital consultancy providing a comprehensive range of services from user research, strategy, design, development to ongoing support and hosting. We specialise in Open Source software and Open Standards which we combine with the latest in User Experience Design. We have been collaborating closely with Libraries and Archives over the last five years on engineering and product design innovations to improve preservation, management, publishing, enrichment and discovery of digital content and data. Our clients include the British Library, National Library of Wales, Royal Society, Wellcome, and the Paul Mellon Center. GALE, a Cengage Company is a world leader in e-research and educational publishing for libraries, schools and businesses. GALE is best known for accurate and authoritative reference content as well as our intelligent organisation of full-text magazine and newspaper articles. GALE creates and maintains more than 600 databases that are published online, in print, as eBooks and in microform. Our collections range from the digitisation of global newspaper brands to smaller historical collections. Our mission is to be the most respected and innovative source of teaching, learning and research solutions for the academic, professional and library markets worldwide. Jisc operate and develop the ultra-fast and secure Janet Network and its built-in cyber security protection. Help save time and money by negotiating sector-wide deals with IT vendors and commercial publishers. Provide trusted advice and practical assistance on digital technology. Jisc’s vision is for the UK to be the most digitally advanced education and research nation in the world. Preservica is changing the way organisations around the world protect and future-proof critical long-term digital information. Available in the cloud (SaaS) or on-premise, our award-winning active digital preservation software has been designed from the ground-up to tackle the unique challenges of ensuring digital information remains accessible and trustworthy over decades. Preservica is a proven solution, trusted by business, archives, libraries, museums and government organisations around the world – including the UK National Archives, Dorset History Centre, Waddesdon manor, Manchester and Yale University libraries and HSBC – to name a few. Taylor & Francis Group partners with researchers, scholarly societies, universities and libraries worldwide to bring knowledge to life. As one of the world’s leading publishers of scholarly journals, books, ebooks and reference works our content spans all areas of Humanities, Social Sciences, Behavioural Sciences, Science and Technology, and Medicine. We produce unique, trusted content by expert authors, spreading knowledge and promoting discovery globally. We aim to broaden thinking and advance understanding, providing academics and professionals with a platform to share ideas and realise their individual potential. Taylor & Francis Group publishes more than 2,500 journals and over 5,500 new books each year, with a books backlist in excess of 77,000 specialist titles. Wiley is a global leader in education and scholarly research. Our online scienti c, technical, medical, and scholarly journals, combined with our digital learning, assessment and certi cation solutions help universities, learned societies, businesses, governments and individuals increase the academic and professional impact of their work. The company’s website can be accessed at www.wiley.com. For over 20 years Max have specialised in high quality digitisation and associated archiving services. Our longstanding partnerships within the heritage sector, local government and large media/ publishing organisations ensure that clients leverage the greatest possible value from their digital assets. Specifically we will be showcasing DRYAD and SOTERIA, our Archive Management and Digital Preservation services built on AToM and Archivematica respectively, as well as physical storage options at our rapidly expanding facility in London.